Dementia can be an emotional journey and moving into full-time care may be a difficult decision for the resident and their family. 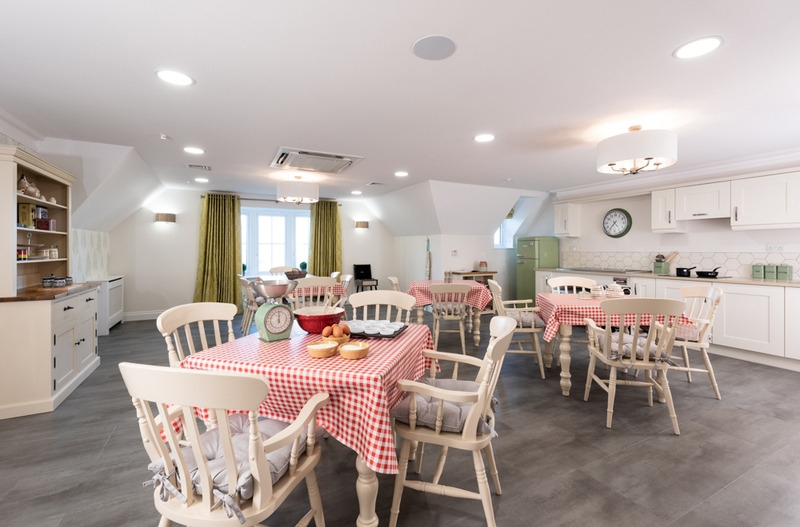 You must be absolutely confident that the care home you choose has the right facilities, skills and approach to support people whose lives are changed by dementia. Hallmark Care Homes is a member of the Dementia Action Alliance, is signed up to the national Dementia Pledge and is actively involved in research projects to improve standards of dementia care. It is not a natural part of the ageing process but the risks of developing dementia do increase with age. The symptoms are caused by physical changes to the brain and are unique to the individual. Identifying the early signs of dementia can be vital in diagnosing and preventing the illness. With Alzheimer’s disease being the most renowned and common type, being able to seek medical help and implement relevant treatments to slow down and prevent progression at an early stage can provide a better quality of life for longer. This proves beneficial for not only the person, but for the family too. For more information on dementia, download our guide to dementia. 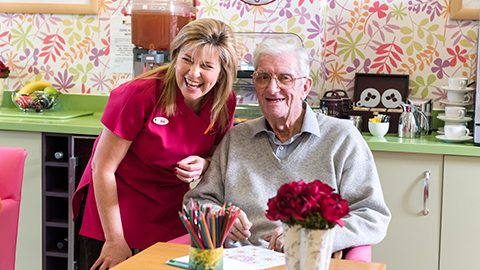 The Hallmark Care Homes’ approach to supporting all residents – relationship-centred care – is especially important for residents diagnosed with dementia. Our dementia care team receive ongoing training to make sure they have the communication and observational skills vital for optimum care. We know that by building compassionate, trusting relationships and by knowing the individuals’ biography, personality and life journey, we can help people (and their families and friends who share the journey) to live enjoyable, stimulating and fulfilling lives. Our comprehensive strategy outlines exactly how we deliver this level of care to all residents. To find out more you can download a summary of the strategy here. Using the ‘About Me’ booklet, we build a lifestyle profile and tailor the environment, the attention and the support to each individual. And don’t forget the activities. Life is for living, so we ensure every day is as stimulating and enjoyable as possible and nothing makes us – and residents – happier than the involvement of friends and family. Watch our video below to see how we are working to implement the Hallmark Care Homes’ Dementia Strategy. 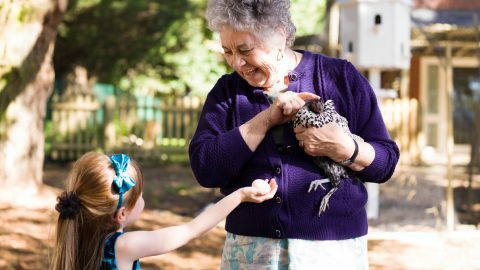 Dementia can make everyday activities and tasks seem overwhelming, but this can often be relieved by changes to the environment. As the perception of the world around them changes, a person may experience increased feelings of disorientation, often manifesting in anxiety and other feelings of stress. As a result, a spacious, safe and homely environment can provide comfort and allow them to navigate independently more efficiently. Not only does this help those with dementia to live comfortably, but it also helps to encourage a clearer head and a more independent way of life. When designing an environment for those living with dementia, we keep residents in mind. Light is a factor that needs particular consideration; shadows and dark areas of a room can appear misleading and confusing, so we choose optimised lighting in order to eliminate these. By keeping things spacious and installing carefully-placed lighting, you can open up a room and encourage a safe, stimulating home for your loved one. Carefully handpicked to assist the independence of residents, specially-designed furniture is fitted into each bedroom to ensure safety and comfort during each moment of the day. This way, your loved one can truly enjoy life with limited concerns about safety or anxiety. 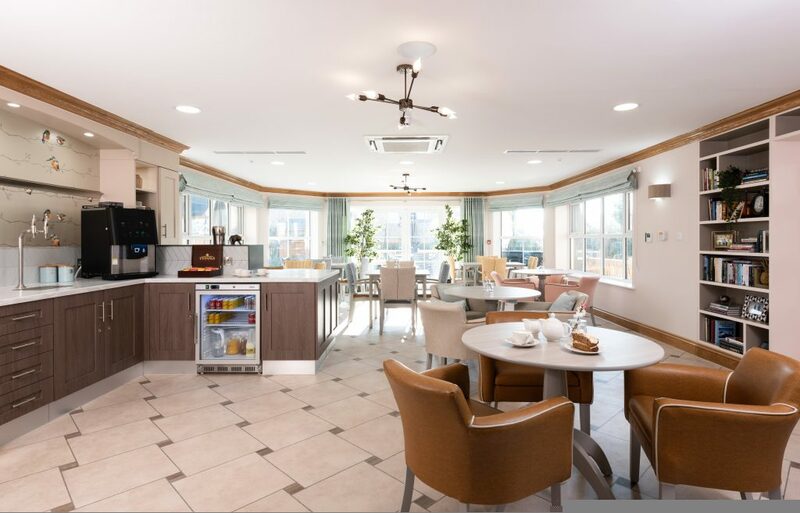 Each of our care homes has been built with wide corridors that are decorated with carefully chosen items that can help people find their way. These act as subtle signage to help residents navigate independently, all while providing that all-important homely touch. Beyond the building, if they wish to have a breath of fresh air, the easily accessible outside space allows residents to have the opportunity to enjoy the large patio and terraced areas, which in turn encourages gentle exercise. 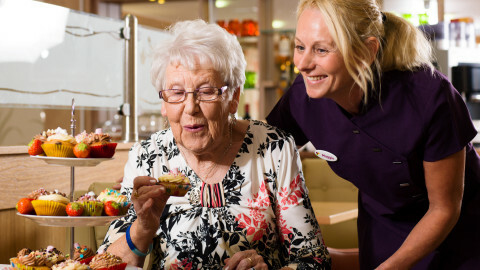 Our understanding and highly trained team are able to recognise signs of dementia and will assist with making each and every new resident feel at ease and cared for, while promoting independence. Signs of dementia will be communicated to the family and other relevant team members, to keep their care plan updated and ensure residents get the care they need. The process of eating and drinking can become difficult for people living with dementia, but our team is on hand and fully trained to ensure that loved ones will be getting the nutrition they need. We conduct full assessments for every new resident and can discuss this in full with you and your family for extra peace of mind. Those with dementia in its early stages are still able to make decisions for themselves, meaning that they can ultimately come to the conclusion as to whether they want to move into a care home or not. For those in the latter stages of dementia, usually at the point in which they require care or assistance, they may be considered unable to make the decision for themselves. It is therefore wise to put into place a lasting power of attorney for both finance and health & welfare to enable a loved one to make these decisions on their behalf. More information on lasting power of attorney can be found in our handy guide. If you have more questions, speak to your nearest Hallmark care home today.